Your Abilities Expand | Mediterra - Swim & Run Better Than Ever! It is easy for us to agree that expertise takes time. We see examples of this fact in biographies of masters admired in every field. But do you believe you too can become an expert of swimming? Over time, with Deliberate Practice, not only will your swimming skills improve, your ability to practice effectively will get stronger. You won’t remain working at the same slow, stumbling rate of learning you felt you were in at the beginning. Time spent in mastering the process of practice will make the practice get better. Quite frankly, in your first learning experience you picked up only a small fraction of all that was actually taught to you, whether that be a workshop, series of private lessons or watching the videos. I have students who come back to repeat the same workshop a few times and exclaim how much more they learned the second and third time through, although we were repeating many of the same things. They couldn’t absorb at once all that was offered. They are glad they came back again. No matter how smart you are, or how hard you concentrate, your ability to absorb everything during your first exposure is quite limited. But don’t worry. 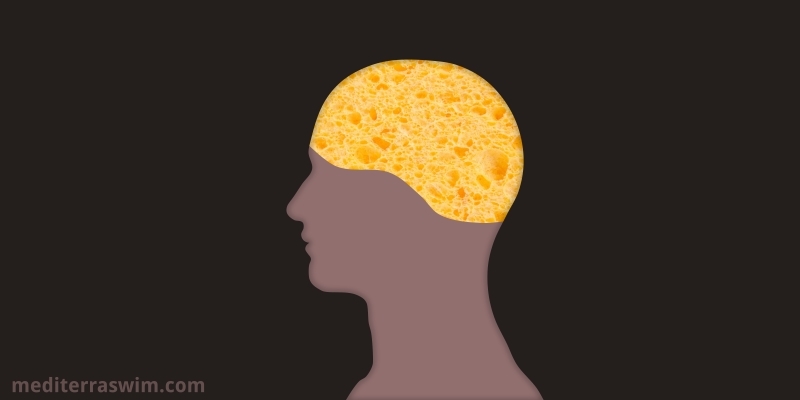 What’s in your sponge – if you practice – gradually gets transferred to other parts of the brain (and there is virtually endless storage space back there!). Then your sponge is ready for more. And the news gets better – that integrated skill creates a broader platform upon which you can stack up more insights the next time around. Your sponge gets bigger, in this sense. In rock climbing there is this interesting situation that everyone runs into eventually – you get to a place in the climb where you try to look one move past the immediate move in front of you and you can’t see how you could possibly go further. You’re getting tired, and a little scared which makes it look impossible… from that viewpoint. Your lizard brain is screaming at you to give up now – why try the next move when you are just going to fall anyway? And this is one of the first lessons a new climber has to learn: push past that sense of impossible, and just make the next move that is available to you. Then as your body moves into that slightly elevated position, new surprising possibilities will become visible. The way forward opens up to your mind once again. It is certainly not as intense for the swimmer in a pool but there can still be this sense of impossibility when you try to look one or two moves past the difficult ‘baby’ skill you need to master at this moment. You are starting to dwell too far in the future and that is what sets up impatience and frustration, and it may trigger fear for some people. But when you commit your attention and effort to work on this one point of skill in front of you in this moment, no matter how elementary it seems, you will break through eventually, and when you do, you will see beyond that point with a new perspective. It happens like this all along the way. Your viewpoint will expand to reveal new options and understanding, but only as you move forward in the work. From that first learning experience you may acquire just a small set of drills, focal points, and practice patterns to work with. You could try to get a few more, but remembers the sponge can only hold so much, until you process what you’ve got. There is no way around it. These first few tools and the limited understanding are what you have to work with. They are enough for your start. You may feel the great difference between your skillfulness in using the drills and focal points and that of the master you are studying under. Yes, you realize you are only scratching the surface of the potential of those tools. But still, the few tools and the understanding you have are powerful in themselves even at that shallow depth. They are sufficient to get you through the first stages although you can’t see yet how they will get you all the way to mastery. Through trial and error your use of those first tools improves. As you achieve the first skills, your understanding of the tools will increase, because your new level of skill will make more features of those drills and focal points apparent to you. As you continue to study with a coach and other like-minded swimmers and your understanding of them deepens from collective experience. You pick up more ideas on how to use drills more effectively, and use them for other improvement purposes. Other Deliberate Practicing swimmers will likely share their notes with you. At least you can observe how they are working with them and take notes yourself. Eventually, the principles behind the skills start to sink in and you find you are able to modify some of the drills to suit your purpose even better. You start creating your own focal points. You start designing unique practice sets that present puzzles and require solutions that suit your individual needs and interests. A person with a great understanding of beautiful music may not be one who has the ability to produce beautiful music. There can be a big gap between appreciation and execution. There is only one way to bridge that gap – work at it. The fingers will become agile and strong. The patterns will get easier to hit with precision and speed. Just keep working it. And, it has to be quality work. Consistent over the years, with quality attention given in quality-oriented activities, and done frequently each week. Your ability to make your body do what you intend for it to do will gradually get stronger because you keep working on making changes to your motor control circuits and strengthening those by frequent and varied use. The intelligent struggle to master the moves makes you not only stronger, it makes you smarter in how you control your body. And, think about this – how does a musician know that her ability to play the song is correct? She can hear it. But, within that ‘realm of correct’ isn’t there a variety of pleasing ways that song could be played? Playing the song rigidly is not a sign of mastery. Her ability to express herself in that moment – to modify the song, or to change songs entirely – is a feature of her mastery. The ability to change expression (rather than play like a robot), the ability to play the song in different ways, the ability to play many different songs – these are the things mastery musicians train to be capable of. These are the things you, as a mastery swimmer should be after. Don’t get too worked up about doing some part of the stroke ‘incorrectly’ when you are not really sure how to do it better than you are right now. Just make it do what you intend it to do, and when you can execute your intention every time, you then have the skill to make it more correct immediately when you get better instruction from your coach. Some athletes are so worried about ‘doing it correctly’ according to the masterful example they hold in their mind and are nearly paralyzed by it. The desire for excellence needs to be moderated by this: first, do it correctly by the understanding you have right now. When you get better input later your understanding will shift. This process of ‘train a pattern, correct it, train a new pattern, correct it…’ will likely happen several times. If you are really on a mastery path your stroke development will go through several iterations over the years. So, get good at adjusting things when new information comes along. Right now, you need to practice making your stroke do what you think it should be doing – that is the skill you need to master right now: the ability to change your stroke on demand. For some adults – especially those who have reached expertise in other fields or experienced success in other sports – the feeling of starting over again in swimming can be a bit discouraging (though it is obvious others relish the chance to start something new!). They can see the difference between their hard-earned accomplishment in the other realm and the long road ahead here in this one. Because of that success elsewhere they expect they should be able to understand this one better, they expect they should be able to develop faster – as if mastery in one realm should be transfer easily into another. Not always. The mastery path is a test for your attitude too. Mastery of a physical skill is not always accompanied by mastery of mind and attitude, unfortunately. But if one has those mental mastery skills in place from their training in another area, mastery in a new skill set comes much easier. The most productive students are those who, regardless of their success elsewhere, can approach this new activity with a Beginner’s Mind, a new-learner attitude. Actually, a truly masterful person may be recognized by this attitude in whatever new thing they attempt to learn, not just by how they act in the realm they already dominate. They are curious. They are open. They are trusting. They are persistent. A secure person on the mastery path is not self-conscious about the slow pace and mistakes he must make when starting over again in some new realm. He seems to relish the opportunity to grow new circuits in the brain. Not only does he increase the health of his brain, his re-acquaintance with being a new, incompetent student increases his compassion and understanding for those who are new students of the realm he is already a master of. We may recognize a true master by how he is gracious and accepting of himself as a new and blundering student in a new realm. 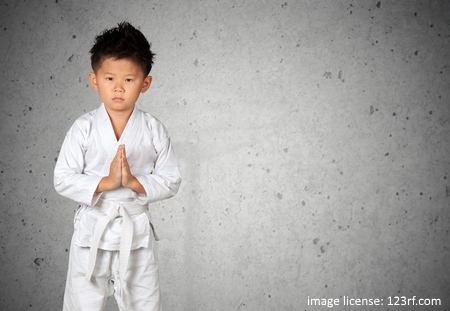 The master is ready to be a beginner and support the beginners around him. well written….it seems i fit all the descriptions at one time or another..a question, though. if we do things incorrectly are we not repeating the wrong pattern and thus slowing down progression? i keep plugging due to stubbornness and/or out of wanting to “master” this sport. i do believe i need to keep doing this because of my surgery but my goal(s) eventually would be to be able to “compete” in long(er) distance swims…but when i can’t make it 25 meters without stopping in “whole stroke” (trying to breath) it seems that these goals may be to big of an “ask”…i’ll keep plugging and will try to hook up with you later this year at least once. What you are regarding as ‘incorrect’ needs to be taken in context. Incorrect compared to what? You will always be incorrect compared to the ideal. But you are hopefully ‘more correct’ in today’s iteration of the stroke than what you were doing with it yesterday. What you are aiming to imprint is some change that is one step up up from your previous style and a step closer to that ideal. You’ll make dozens of such adjustments over the months and years, step by step, in the direction of that ideal, and even your understanding of the ideal will shift (thus making some previous changes not seem as superior as you once thought they were). It is not realistic to expect to make massive leaps in that direction, though there is the possibility for this. That’s part of the open mind and humility of the process. Do your best with what you’ve got in this moment, and in some later moment, when you get more insight (from an epiphany or lesson with a coach, etc), you will do your best from that point forward. Your long distance swim – let’s say it is going to take 2000 strokes or about 2000m – is going to be composed of 2000 beautiful strokes. Before you can take 2000 consecutive strokes like that, you need to first practice taking 500 consecutive beautiful strokes. And before 500, you need to practice taking just 100. And before 100, you need to practice taking just 20. And before 20, you need to practice taking 8 (about what you can do without breathing) and before 8, you need to practice taking just 3 beautiful strokes. In this zen-like exaggerated way, I (somewhat seriously) urge you to devote yourself to executing many sets of 3 marvelous strokes. When you can produce sets of 3-strokes consistently, then work on 8-stroke sets (without breathing). Then work on full lengths (with the challenge of breathing inserted in there). THEN you can more confidently aim to swim many consecutive lengths with strokes that feel more like what you want to them to feel like. Master control of your body in very small pieces and then make those pieces incrementally bigger until you can maintain the standard for multiple lengths. Then distance swimming ability will fall into you hands almost effortlessly. But… if I could get you in the Mediterranean Sea, I do admit there is some magic to be found in swimming in that warm, clear water. I know in 6 days we could take you into marvelous swimming. thanks mat for your insightful response. i’m probably thinking i should be improving much more quickly than i am. i know a lot of things are going well it’s just putting them all together with breathing. i’d love to go to the mediterranean with you. too spendy at this time though. i’ll have to settle for the pool somewhere and sometime.